Its very important to invest in a good quality sunscreen. Very high facial protection. Ultra UVA (PPD 42). Optimal SPF 50+ protection reinforced against UVA long rays. An Optimized version of a filtering system Mexoplex® combined with La Roche-Posay Thermal Spring Water, soothing and antioxidant. New ultra-light texture: fluid, non-greasy, imperceptible with an invisible finish. Very water resistant . Tested under dermatological control. Fragrance-free, paraben-free, non-comedogenic. Apply the sunscreen product just before exposure. Re-apply frequently and generously to maintain protection, especially after swimming, perspiring or towelling. External Use. 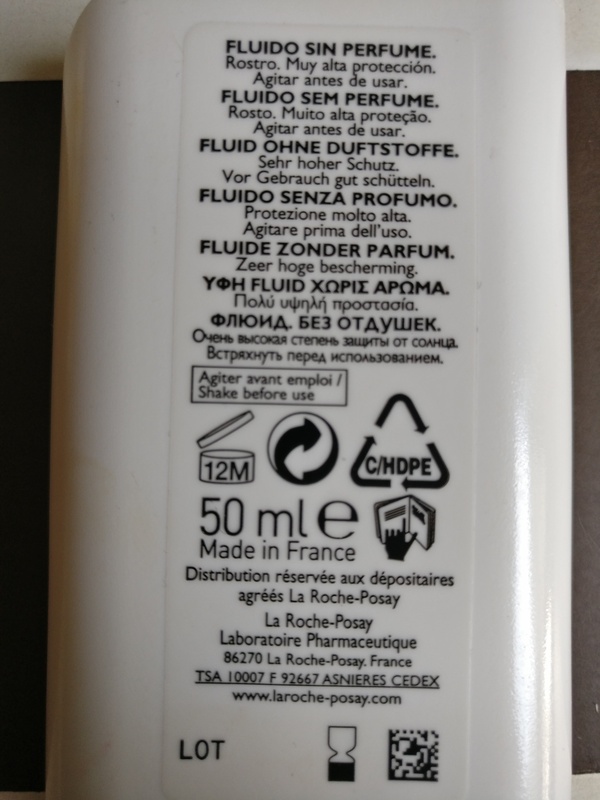 It comes in a sturdy white adorably shaped bottle ,unusual for a sunscreen packaging and has a nozzle on the upper left side to dispense the product which controls the flow of product (+1 ;)). The product is an off white semi fluid with a strong medicinal fragrance, blends in to the skin easily leaving no white caste behind.A little product does the job.For a sensitive combination skin like me, this product works amazingly and has not caused any irritation or breakout! Sensitive or not, you’ll appreciate this product’s thin, fluid texture and lightweight matte finish. It is definitely an intriguing option for those who find or feel Sunscreens too heavy or leave their skin shiny. Its always advisable to reapply your sunscreen every 3 hours especially when you are outdoor.With it’s high protection of 50+ spf (UVA +UVB) and water resitant properties,this baby will be super useful for people who spend most of their time outdoors. Some people might find it expensive but trust me its a good investment that will last you for 3 months approx. 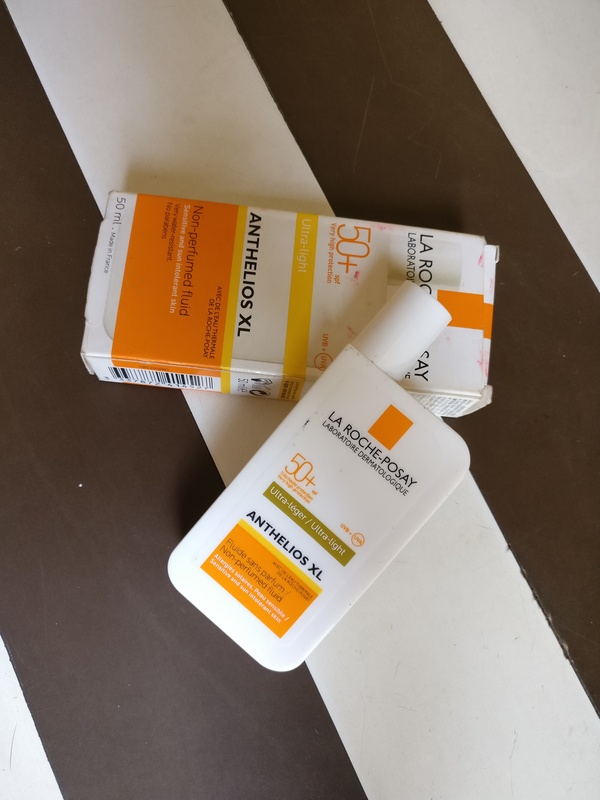 Before trying this product i bought my self a drugstore sunscreen which is quite popular in the Indian market.To no surprise it didn’t work for my skin with just 3 days of use I was devastated to see my skin becoming so dark with so many small bumps! 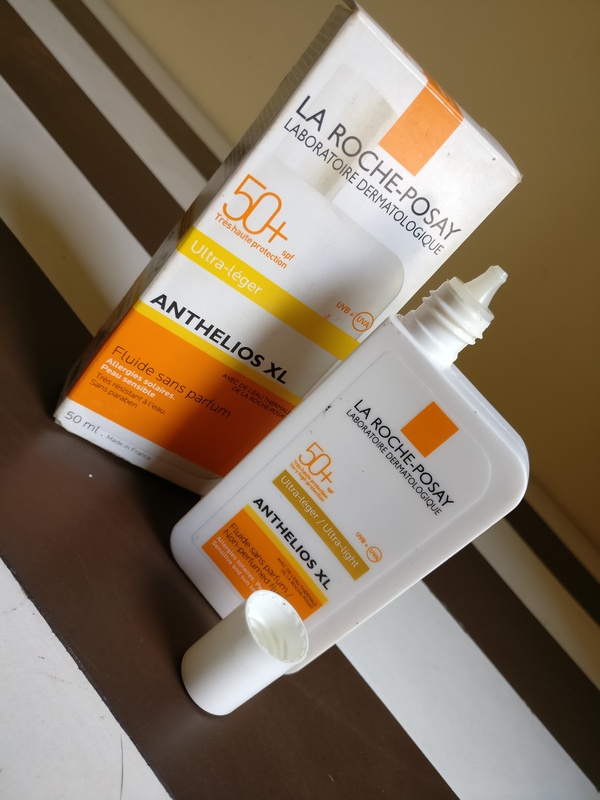 And that made me buy the La Roche PosayAnthelios XL ! Needless to say with the soaring heat you definately got to pick up your own share of sun protection this summer ! So stop being a lazy girl and start using a good sunscreen now!